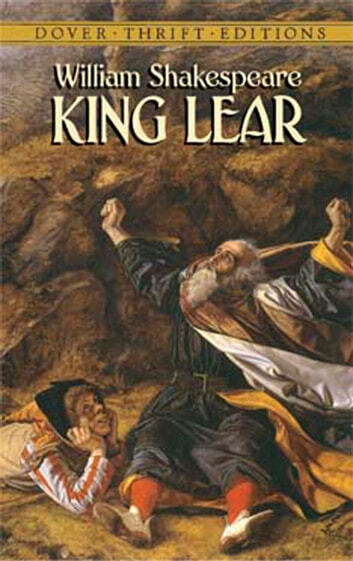 First performed about 1805, King Lear is one of the most relentlessly bleak of Shakespeare's tragedies. Probably written between Othello and Macbeth, when the playwright was at the peak of his tragic power, Lear's themes of filial ingratitude, injustice, and the meaninglessness of life in a seemingly indifferent universe are explored with unsurpassed power and depth. The plot concerns a monarch betrayed by his daughters, robbed of his kingdom, descending into madness. Greed, treachery, and cruelty are rife and the denouement of the play is both brutal and heartbreaking. In fact, so troubling is its vision of man's life that, until the mid-19th century, the play was performed most often with a non-Shakespearean happy ending, with Lear back on his throne and Cordelia, the daughter nearest his heart, happily married to the noble Edgar. But there is a dark magnificence to Shakespeare's original vision of the Lear story, and the play is performed today essentially as he wrote it, uncompromised by later "improvements." 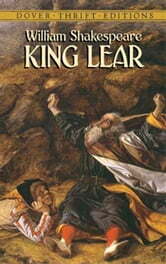 King Lear is reprinted here from an authoritative British edition, complete with explanatory footnotes.